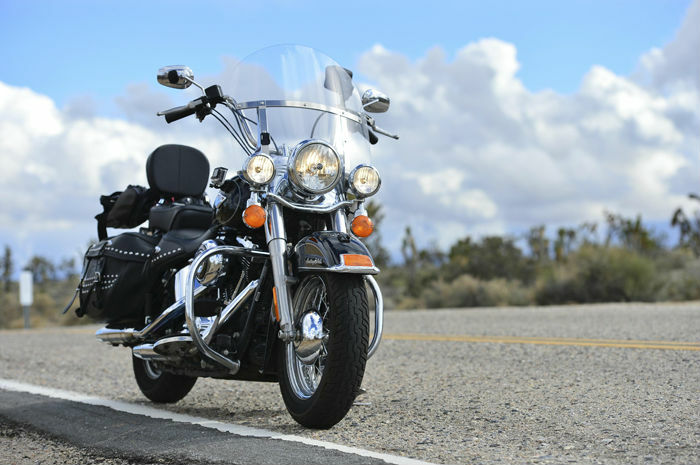 The Bike Insurer took to the west coast of the States on the back of the Harley-Davidson Heritage Softail Classic this month. Not many brands scream ‘Merica like Harley and the Heritage Softail looks the part for a road trip in the land of the free. With chrome slapped across it, two large panniers and the classic wide-set handlebars, the bike is built for comfortable cruises across state lines and along the coast. Harley’s attempting to change its brand image at the moment with lots of riders photographed on one wheel and drifting round circuits, but we lived up to every stereotype when we took it through the States. There were no skids, no wheelies and no jumps for us on the Heritage and instead we took it out on the open road for what it’s built for – comfortable cross-country slogs. And that’s exactly what the Heritage is good for. It’s powered by a 1690cc engine, that ekes out 95ftlb of torque, but the Twin Cam 103 provides enough grunt for comfortable riding. You’re never going to scream down streets but it coped brilliantly with the open desert roads in Nevada, the winding climb up to Yosemite and down the coast from San Francisco to Los Angeles. The only time the Heritage struggled and complained at all was in stop-start traffic in San Fran and LA, where the hills and heat would put any bike under pressure, especially when fully laden. With its wide handlebars and heavy weight, the Heritage doesn’t set your heart fluttering around corners, it does exactly what you’d expect: It’s solid, planted and braking is good but above all, it’s comfortable. The seat is more akin to a plush couch than a motorbike and with full-length footboards, there’s a variety of positions for your feet. One teething problem is the heel-toe gear shift which takes some getting used to but after a while you forget it’s there, but some riders won’t like the unfamiliarity. Our road trip through the West Coast of America was a ten-day tour and practicality was a major issue. Fortunately, the Heritage is well appointed with two large panniers either side of the seat. Fuel economy was also surprising on the Heritage, with the five-gallon tank much less thirsty than you’d expect of such a big bike. We added a front windshield to the Heritage and the accumulation of bugs and insects at the end of our 1,400-mile route justified the decision. If you’re a habitual road tripper, do plenty of long distance slogs or if comfort really is your bag, then the Heritage Softail will work for you. But it’s a clustered market place and brands like BMW, Triumph and Victory offer alternatives in the Adventure, Tourer and Sports Tourer segments. People that choose the Harley won’t do so for the bike’s performance, vital statistics or engine, it’s the brand itself they buy into. It lacks the electronics and rider aids that the likes of BMW provide in abundance, but if you’re after a Harley you’re probably not interested in all the gubbins and gadgets you could get with other leading brands. 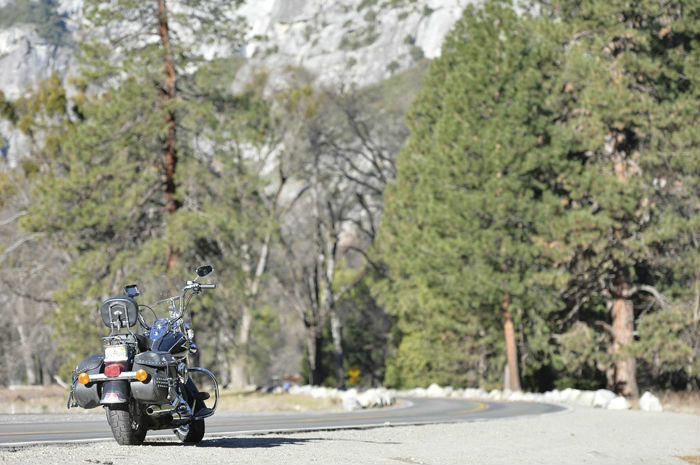 You want the iconic look, the calmness and the attitude of a Harley. Which will probably help you look past the fairly sizeable pricetag of £16,545. 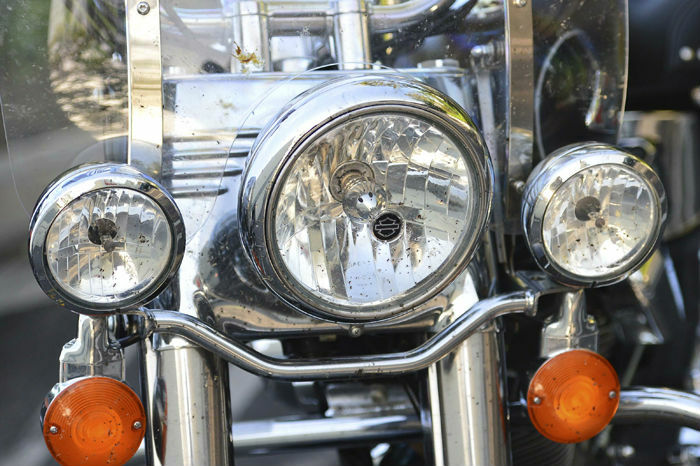 Next page: What type of motorcycle insurance should I get?